I founded Jazmine Kionna because style should not be sacrificed for comfort! The catalyst for our creation came about during a shopping trip to Chicago. During this trip, I decided to use my small fortune saved up from my Summer internship in order to purchase my first official pair of designer heels. The sheer and utter bliss I felt was short lived when I finally slipped on a pair of designer shoes and the pain was unbearable! As an orphan at a young age due to the death of my parents, I was accustomed to working hard in order to live comfortably. What frustrated me was how hard I had to work to be able to afford something of quality only to have to sacrifice comfort. As my designer shoes collected dust, I graduated from Virginia Commonwealth University and entered the world of research and development for a Fortune 50 company. In this professional role, I saw firsthand what was needed to create a product. With some inspiration, I decided it was time to add comfort to style! I headed to New York where I learned the components of a high-heeled shoe and how critical the insole and last are to the comfort of high heels. Then, I sampled materials from various insole companies to find out what would provide maximum comfort through a survey. I created a variety of insoles at home and found my most valuable product. Next, I began reaching out to designers at The Universite des Chaussures of New Orleans where we crafted the first official prototype. We created five stylish pairs of shoes and began to work with a North American manufacturer on production. Through my experiences and story, I created Jazmine Kionna to provide an alternative shoe option that is both affordable and comfortable! By utilizing my love for color blocking, print clashing, and texture mixing, we created a versatile shoe collection that is appropriate for any occasion. 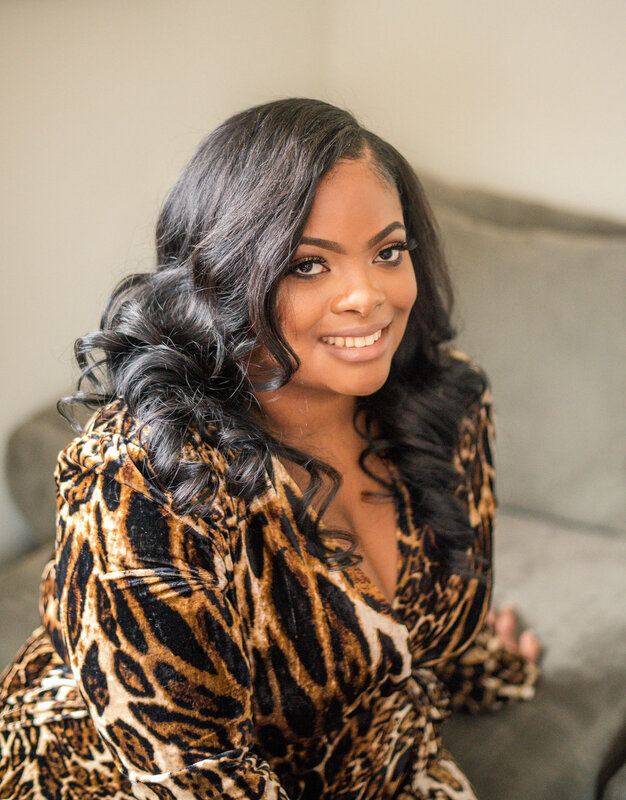 Jazmine Kionna, LLC is shaking up the industry by providing both comfortable and affordable heels that women can wear to work and for recreation! Women whose goals are as high as their heels! Meet Beverly. Boston native, but she graduated from Howard University with her Masters in Accounting in 2017. From there she went on to become a tax professional at one of the leading accounting firms in the nation. Diana was born and raised in Maryland. She is an avid artist and amateur writer. She has also completed a Master’s degree in Nutrition and an undergraduate degree in Biology. She is currently working at a top biotechnology company. Danielle received training in political science and international relations at the illustrious Morgan State University. She enjoys working with non profits and building global brands.